TNye posting here for BMaloy1. 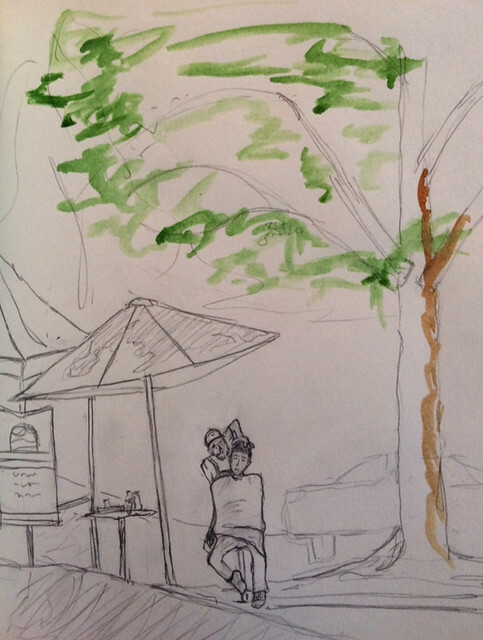 First sketch in a while, and first post with the Urban Sketchers! Love the sketch crawl and hope to participate more! Debora, I can see your sketch! I was having problems too but they appear to be showing up on my end. Not sure what the rest of the world can see?! Great to see you today! Super! J'adore les animaux! Bonne idée dessin au musée. Cheers for you for sketching! No snow in Atlanta, just cold and windy. Fulton Cotton Mill from Oakland Cemetery. This is a work in progress!